Our Fine Arts classes are engaging, inclusive, inspirational and collaborative! Our students report that the coolest thing about Fine Arts at East Central High school is the family atmosphere where students find others with similar interests and which allows them to freely express themselves, their feelings, ideas and talents. Our Fine Arts classes in visual arts, choir, theater arts, band and dance are not cookie cutter. They provide a wide variety of production and performing experiences for everyone. Our classes promote mastery of skills, critical and creative thinking, character development, leadership, teamwork, and community engagement. We love to perform for our very supportive East Central community. Vote for us! 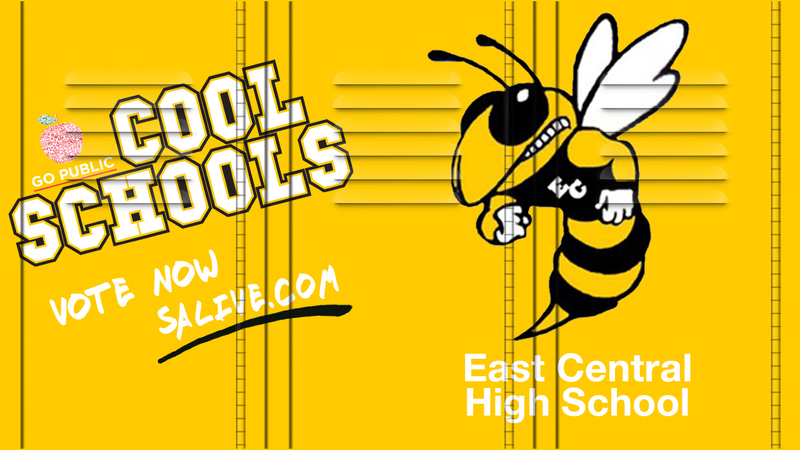 Congratulations East Central High School for being January's Cool School.